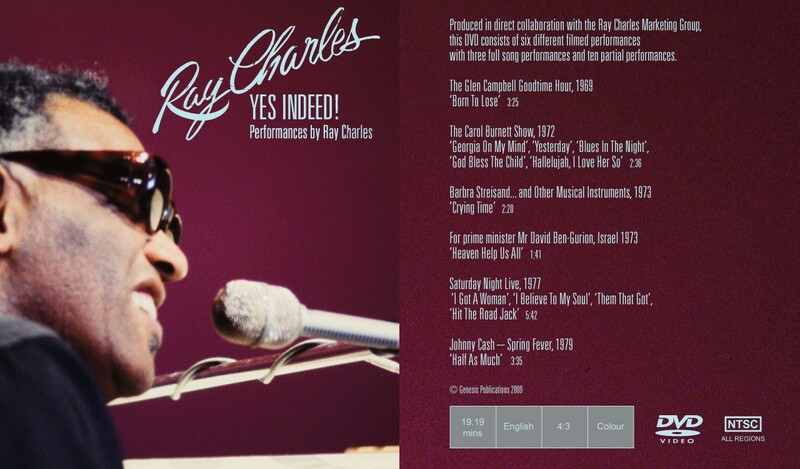 Ray Charles: Yes Indeed is the official tribute to the Genius by the musicians and friends who knew him best. The edition, limited to 2,000 copies collects more than 100 previously unseen photographs by Charles' long-time friend and manager, Joe Adams. Intimate, revealing and nearly all in colour, the utterly-unique photographs capture Ray at work and play, in both public and private moments. Published for the first time, Adams' photographic collection accompanies a new 20,000-word text from Ray's closest friends – including Stevie Wonder, Quincy Jones and Willie Nelson – a Foreword by Bill Wyman and an essay by Ray's official biographer, David Ritz. 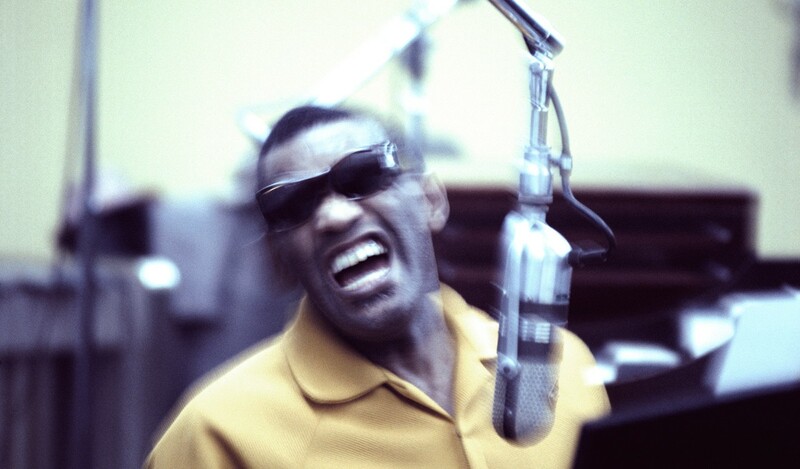 'Ray Charles is, for me, the greatest music icon of the 20th century' from the Foreword by Bill Wyman. 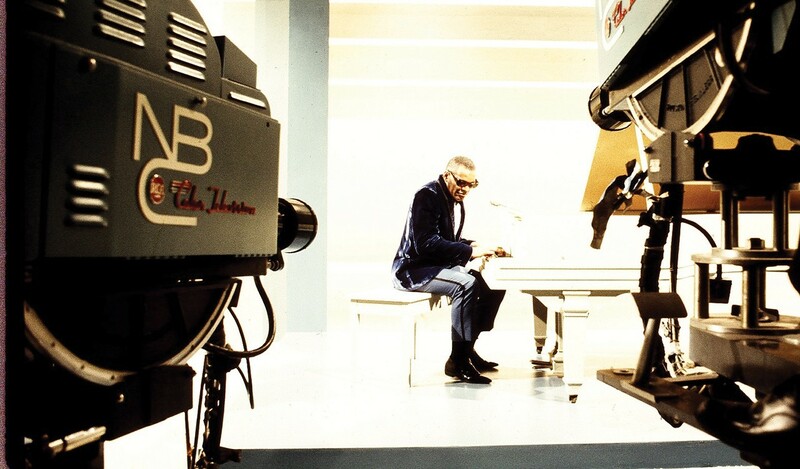 The book unveils a cache of photographs recently discovered at RPM Studios in Los Angeles, the creative centre of Ray Charles' life and work. 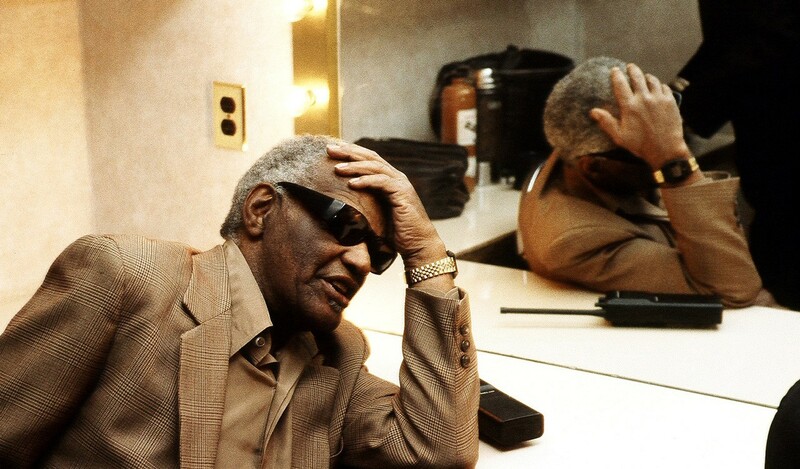 Joe was Ray Charles' manager, business partner and friend for 45 years. Described as the 'man behind the man', his images bear witness to his instrumental role in Charles' career. From his privileged standpoint, Joe Adams photographed legendary performances (such as 1973's appearance with Aretha Franklin on The Midnight Special) and also rare moments such as Ray relaxing backstage with his beloved chessboard - even at the cockpit of his private jet. The Foreword is provided by Bill Wyman plus a 20,000-word manuscript by Ray's friends and fellow musicians - including Stevie Wonder and Willie Nelson - exclusive to this signed book. 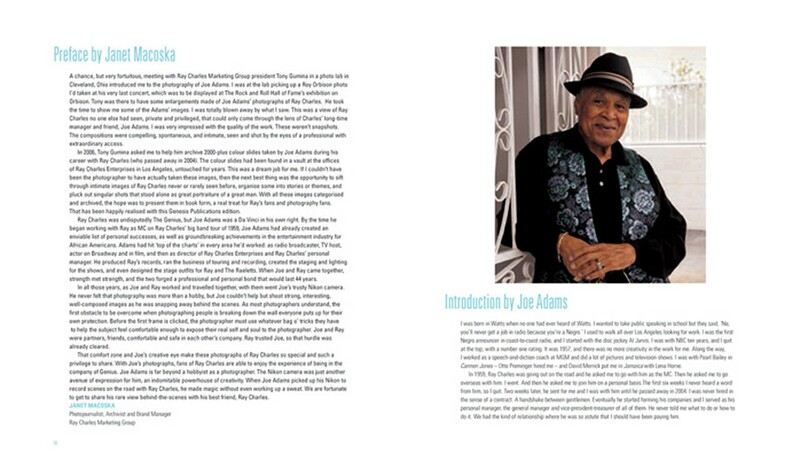 A Preface by the photo-journalist and Ray Charles Marketing Group archivist Janet Macoska, and an Introduction by Joe Adams himself, give the story behind the photographs and the friendship which led to them. 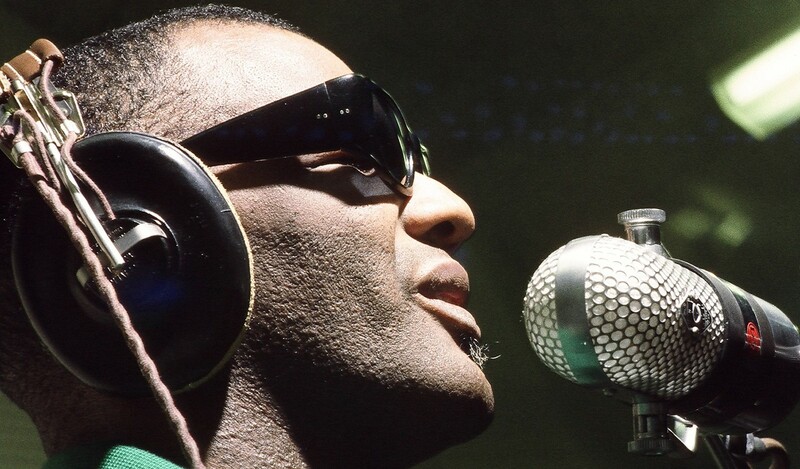 Finally, an essay by Ray Charles' friend and biographer, David Ritz, provides a personal insight into 'The Genius' and his musical and spiritual legacy. David has also signed 2,000 copies in the edition. 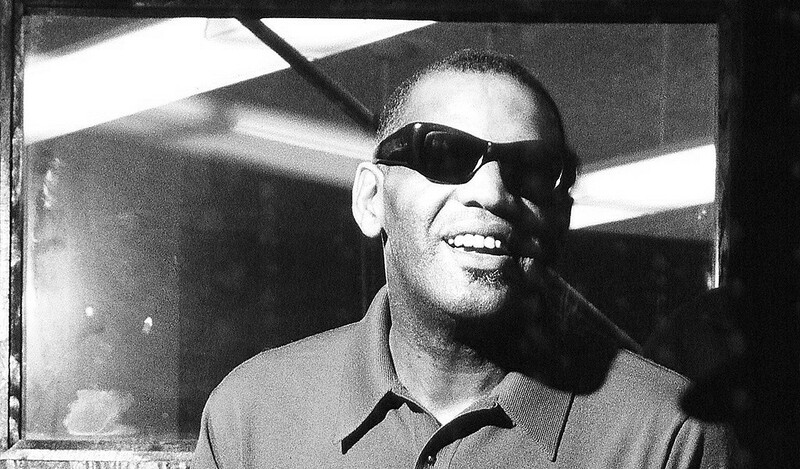 Joe Adams was Ray Charles' manager, business partner and friend for 45 years. Described as the 'man behind the man', he was instrumental in Charles' rise as a cultural icon and enjoyed unprecedented photographic access to Ray's life. From his privileged standpoint, Joe also caught incredibly rare moments such as Ray relaxing backstage, with his beloved chessboard, in hotel rooms and in his office, and at the cockpit of his private jet. This collection of personal and insightful images provides a window into the singer's life, never seen before. 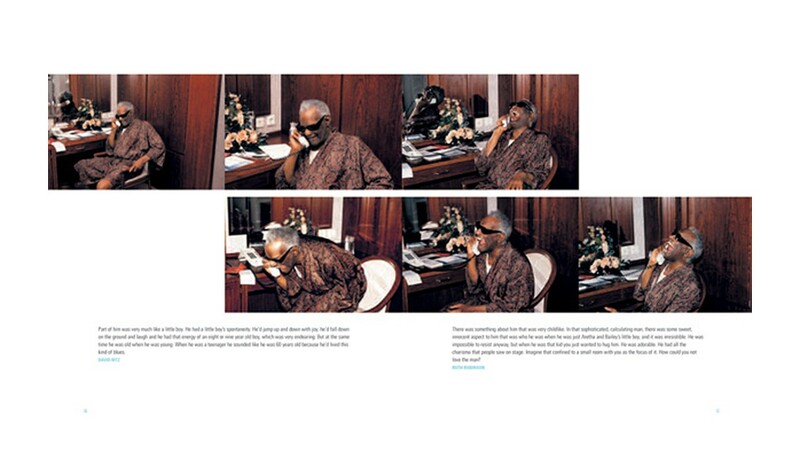 Amazingly, the photographs were all but forgotten about until 2006 when they were discovered by staff at Ray Charles Enterprises while their Los Angeles offices were being re-modelled. 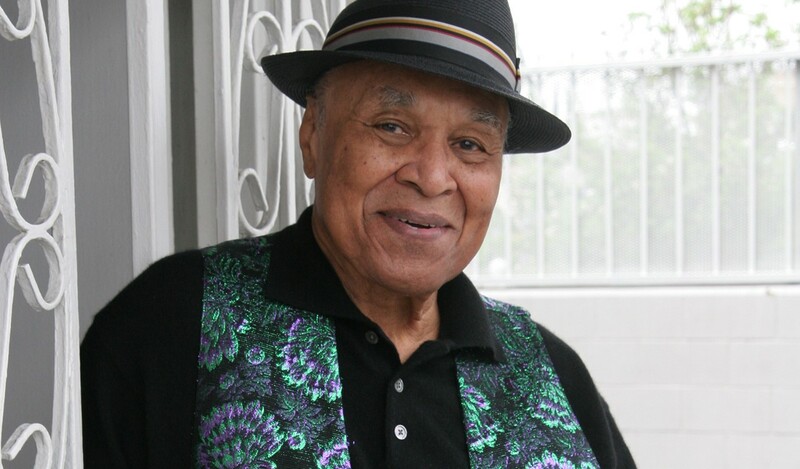 Joe Adams, Ruth Bowen, Ron Boyd, Carol Burnett, Jerry Butler, Glen Campbell, James Clay, Merry Clayton, Leroy Cooper, Hank Crawford, Ahmet Ertegun, Valerie Ervin, Sid Feller, Dizzy Gillespie, Phil Guilbeau, Tony Gumina, Etta James, Billy Joel, Dr John, Mable John, Quincy Jones, Janet Macoska, Lorne Michaels, Willie Nelson, David 'Fathead' Newman, Billy Preston, David Ritz, Ruth Robinson, Clifford Solomon, Allen Toussaint, Tom Waits, Joe Walker, Jerry Wexler, Stevie Wonder, Bill Wyman. 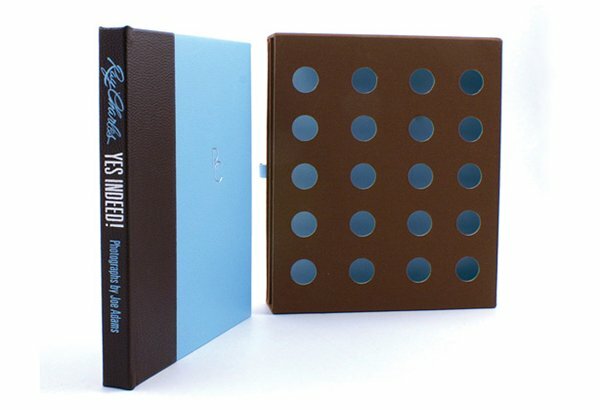 The Collector Edition comprises copies numbered 501-2,500 with every copy bound by hand with a foil-blocked leather spine, silver page edging, and a portrait of Ray inset on the cloth cover. On the back cover are the embroidered initials 'RC'. This detailing is reproduced directly from the cuff of one of Ray Charles' monogrammed shirts. 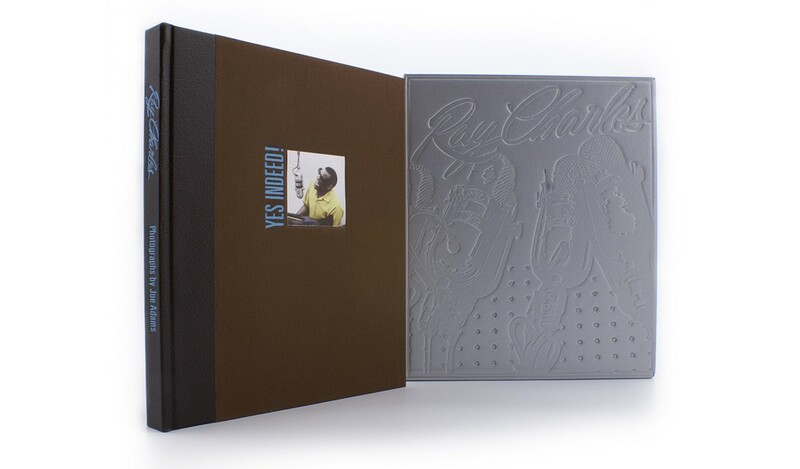 Each book is housed in a silver slipcase, debossed with an image of Ray Charles' microphones at RPM Studios. A pocket on the inside back cover of each book holds an A5-sized folding booklet. 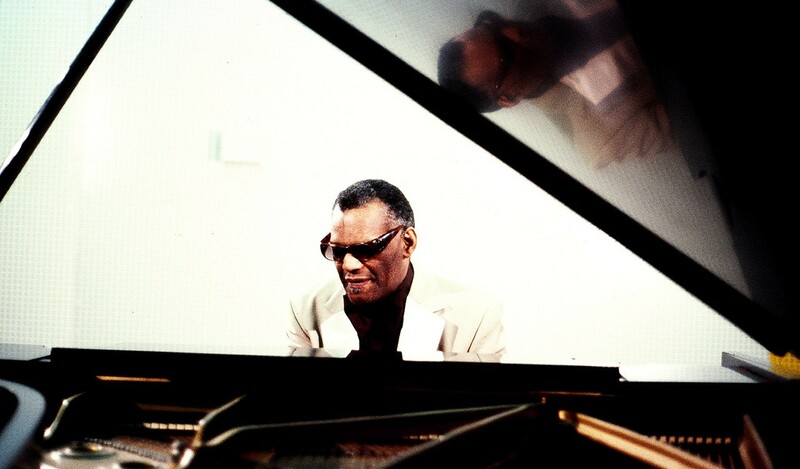 Focusing on the hub of Ray Charles' business and music - the offices and recording studios of RPM, declared an Historic-Cultural Monument by the City of Los Angeles in 2004 - it features unseen photographs of Ray's office, recording studios and wardrobe, and includes a text by Tony Gumina, president of the Ray Charles Marketing Group, giving an unparalleled insight into the working life of Ray Charles. 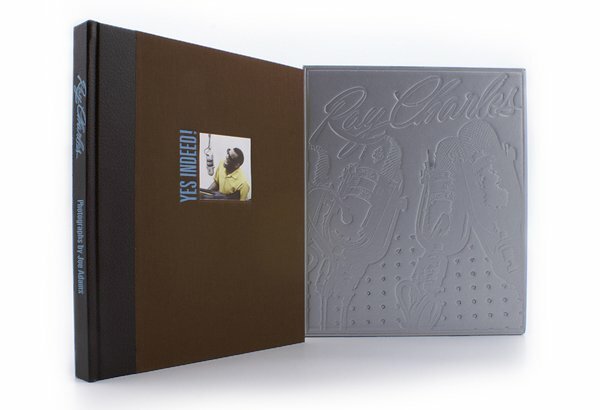 Accompanying the book is a limited edition DVD - exclusive to Yes Indeed! - containing rare archive footage of Ray with Johnny Cash, Carol Burnett and Barbra Streisand. The historic performances are compiled in a special pressing that brings to life the images within the pages of the book. 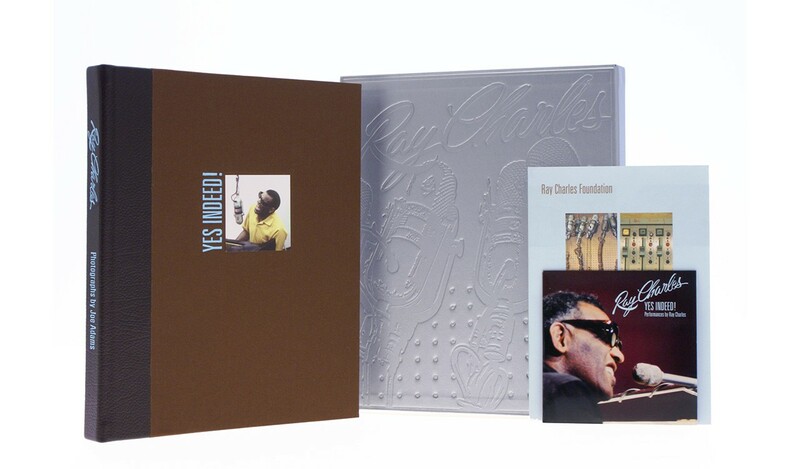 All royalties from the sale of this limited edition book and DVD set will go to the Ray Charles Foundation, working to assist children with hearing disabilities. Complete with a DVD, every Deluxe book is bound entirely in fine goatskin leather, with hand-tooling and silver page-edging, and housed within its own handcrafted box. The Deluxe edition of Yes Indeed! 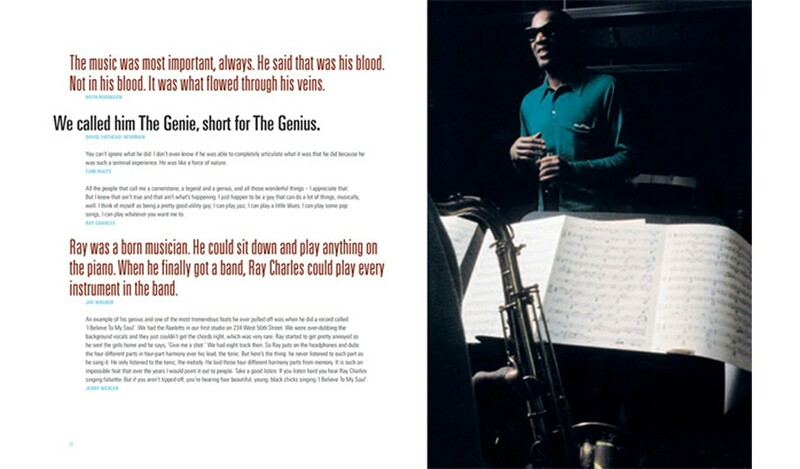 is a Genesis book of the highest calibre, as is only befitting of Ray Charles' musical legacy. Each Deluxe set includes a special historical artifact - a vintage business card from Ray Charles' office desk at RPM Studios. The business card, originally owned by Ray, ensures a place in music history for every Deluxe boxed set. An accompanying letter explains the provenance of the card, suitable for matting and framing. 1. Taping a Coca-Cola radio commercial. 2. Recording at RPM International Studios. 3. Filming for NBC television. Stevie Wonder, Quincy Jones, Willie Nelson and many more join in this official tribute to a Genius. Full leather - brown and blue with silver blocking. Brown cloth slipcase with tray. 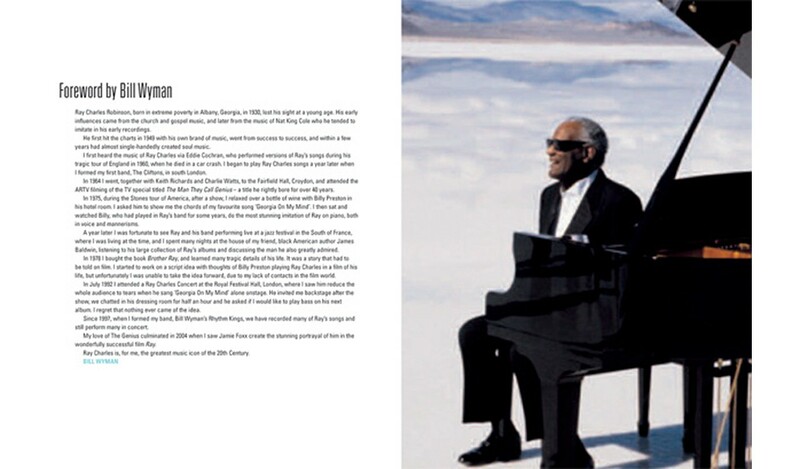 A5 folding booklet detailing the offices and recording studios of RCM and DVD of rare footage of Ray Charles performing. Three prints embossed with Joe Adams signature and exclusive original Ray Charles business card.